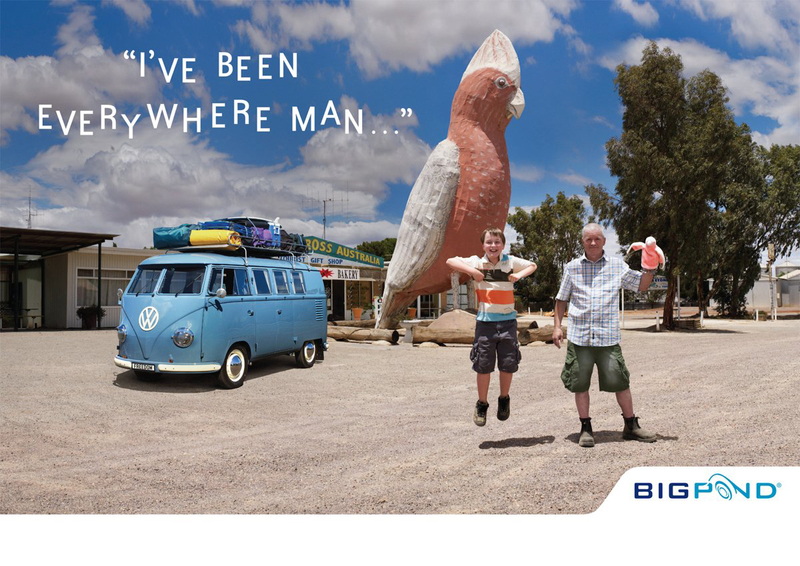 Telstra Bigpond’s wireless network is being promoted in the sixth instalment in the Father and Son advertising campaign, Been Everywhere. “Big Things”, the latest television commercial, takes Patrick and his dad on a tour of Australia to see the Big Things. The spot, going live on Tuesday 14 April, was filmed by director John Polson, who also directed the latest “Everybody’s Talking” ad. The commercial features Patrick O’Meara driving a blue Volkswagen Kombi with the registration plate, “Freedom”. The Big Lobster is in Kingston SE, South Australia. The Big Merino (sheep) is in Goulburn, New South Wales. The Giant Koala is in Dadswells Bridge, Victoria. The Big Chook is in Moonbi, New South Wales. 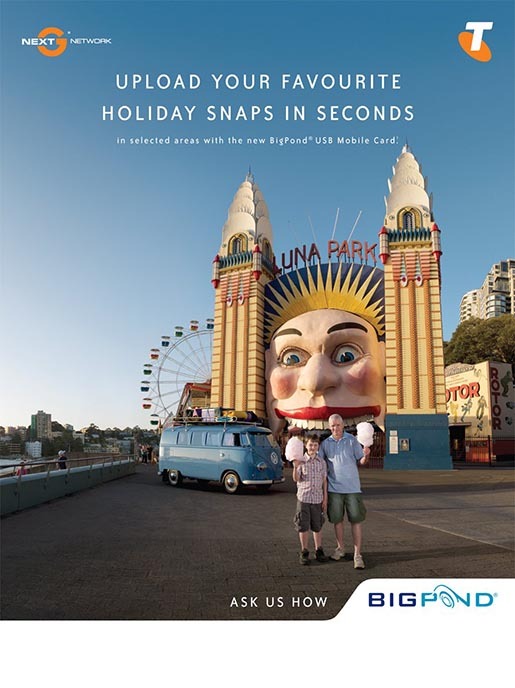 Also featured are the Big Apple, Thulimbah, QLD, the Big Smile at Luna Park, St Kilda, Melbourne, the Big Golden Guitar, Tamworth NSW, the Big Murray Cod at Swan Hill, VIC, the Big Banana, Coffs Harbour NSW, the Big Pineapple, QLD, and the Big Diplodocus in Somersby NSW. See more at Wikipedia. The Big Things ad was commissioned by Amanda Johnston-Pell, executive director brands and marketing communications, and Chantal Walker, director of brand and advertising for Telstra. 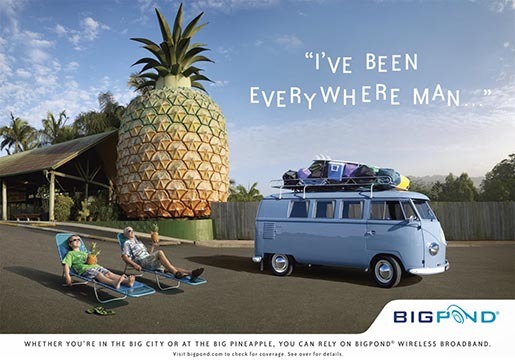 The campaign was developed at BWM, Sydney, by executive creative director Rob Belgiovane, creative group heads David Shirlaw and Paul Bennell, account directors Simon Hatfield and Elise Borg, senior account manager Tina Pazman. Filming was shot by director John Polson via Brilliant Films, Sydney, with producer Emma Friend. The fully integrated campaign includes new campaign photography by Michael Corridore, featuring father and son at various big things around Australia.